I connected with Kera, author of the fabulous blog The Special Reds, last year, not long after starting Stories about Autism. 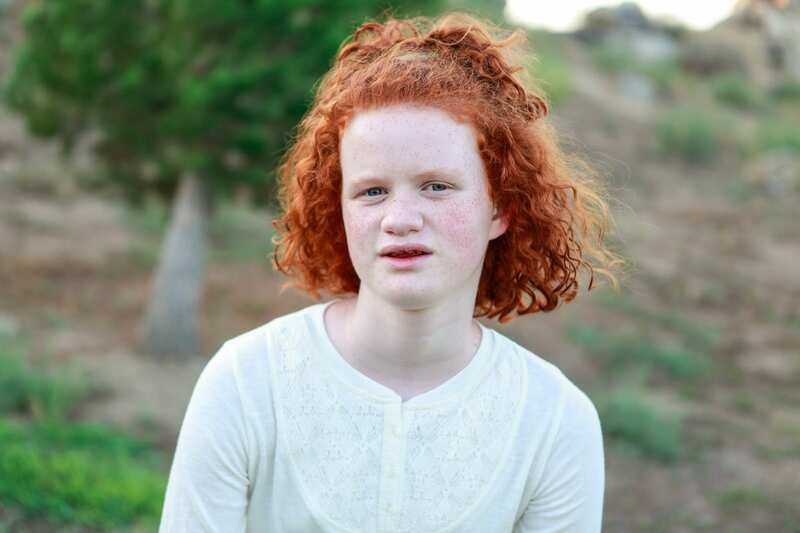 Kera’s blog talks about life as a mum to 3 beautiful red-headed children, all with special needs. Here she tells us about the day the word ‘autism’ entered their lives, and changed them forever. It began like any other day. I was a new mom to the cutest redheaded toddler you’d ever seen. I graduated from college the year before; my husband was weeks away. We were anticipating starting our new life. Julianna and I liked to cuddle on the couch and do flashcards or sing songs. She loved “The Wiggles.” She was a smart girl, though she had some quirks. I tucked these quirks, along with any associated fears, in the farthest corner of my mind, positive that she would grow out of them. And then there was a knock at the door. Through the peephole I could see it was my neighbor who lived below me, a mom who was a speech therapist at a preschool. Without a care, I opened the door. “Really? What things?” The little corner in my mind began to open, like someone was unzipping a purse, letting the contents fall out. All the contents of that brain purse scattered in my mind. My body temperature soared, my face simmered. I couldn’t hide her little quirks in my brain—of course others noticed! Hot tears streamed down my face, burning my eyes. The objects in my brain were darting around, seeking some connection to autism. Autism? It was the year 2004. Autism was not a word that was looked upon fondly. Now tears of hopelessness, like every teardrop was a hope blown into the wind. And then just as suddenly…guilt. I wiped my face. “Was this…my fault? Did I do this to her?” I uttered. After she left my apartment, I hugged my daughter tight, rocking her, crying on her red hair. We sat there long enough for me to gather up those brain purse contents and start making sense of them. I still have the purse, but it’s not in my mind—I carry it, in the open. My daughter is 12 now. I’ve had time to sort through the contents and accept them as a part of her. I’ve tossed out the fears and added faith, hope, and knowledge. I still wonder, though, what courage it must have taken for my neighbor to knock on my door that day, because even though it took a few more years to discover, she was right about autism. Autism? It’s 2016 now. That day did change my life forever as a parent, but we’ve come a long way. Autism has come a long way, too. Kera is a stay-at-home mother of three very unique children, each born with a special challenge, and each gifted with red hair. Her oldest is on the autism spectrum, her middle was born with a rare blood disorder called mastocytosis, and after waiting 6 years for another child, her youngest was born with a bilateral cleft palate. She has been to pretty much every specialist or doctor out there between the three kids, and she finds solace in church activity, exercise, and blogging.